Wonder why the meat from Farmer Vincent doesn't taste like chicken? 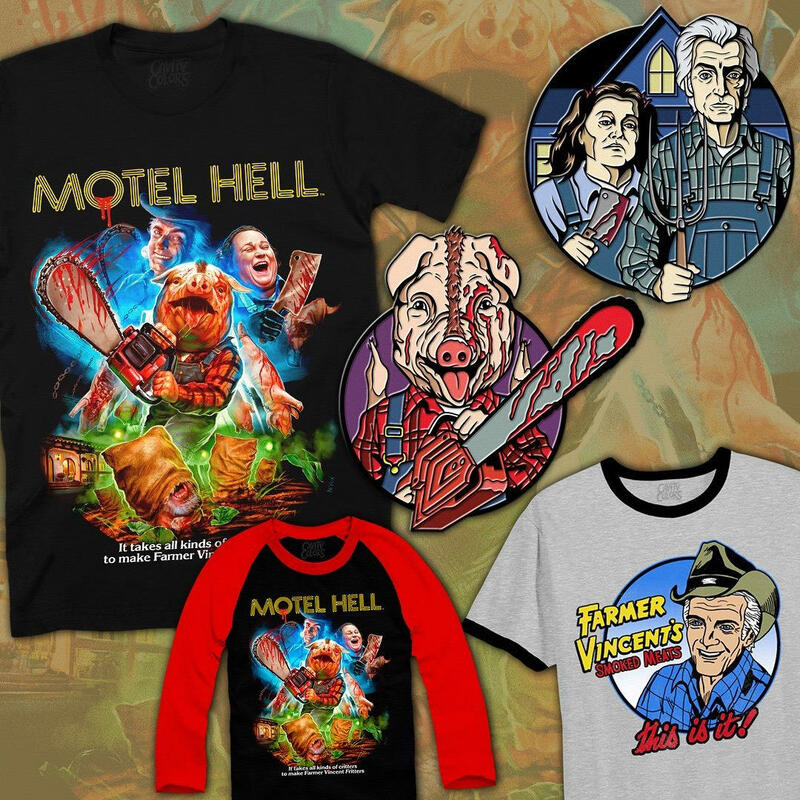 To celebrate the quirky, fun, cult classic Motel Hell, Cavitycolors has released part one in their Motel Hell collection that includes three shirts (in regular, women's fit, and baseball tee) and two enamel pins. From Cavitycolors: "It takes all kinds of critters to make Farmer Vincent fritters." PRE ORDER: SHIPS THE WEEK OF January 28th or sooner. We wanna make sure everyone gets a shirt! Any orders placed that contain this pre-order item will ship at the estimated date above. If you need an in-stock item sooner, please place a separate order."